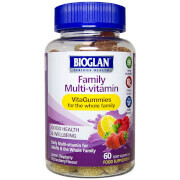 What is Bioglan Superfoods Energy Boost? Bioglan’s unique blend of lucuma, maca, hemp and cacao make up Energy Boost which have all been specifically chosen for their energy-enhancing properties. Why Use Bioglan Superfoods Energy Boost? Lucuma: a fruit native to the Andean valleys of Peru, and grows in a temperate climate between 1000 and 2,400 meters elevation. Its bright yellow flesh has a fruity caramel flavour that has been used as a sweetener and as a base ingredient in Incan food for centuries. Maca: Known as ‘Peruvian Ginseng’ Maca is a nutritionally dense root vegetable native to the Andes, traditionally used for over 2000 years to support energy, endurance and hormonal balance. It was even used by Inca warriors before going into battle to improve their strength and stamina. Hemp: Hemp originated in Central Asia and is now grown all over the world. It is grown in temperate climates and can reach a height of up to 16 feet (5 metres). The powder is produced from the ground seeds of the plant. Cacao: Cacao is the purest, most natural form of chocolate available. It comes directly from the cacao pods where the beans are milled at a low temperature to preserve all of the nutrients and the rich, chocolaty flavour.